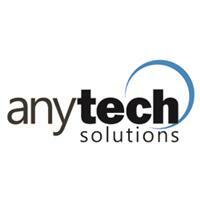 Anytech Solutions - IT and Consultancy, Telecommunications based in Poole, Dorset. Established in 2004 and with more than 20 years experience in computer repair & IT support, Doctor PC now has a new trading name of 'AnyTech Solutions'. We are a privately owned business which provides PC and Mac business support, repairs & sales to home and business users throughout the Bournemouth and Poole areas. Our engineers are experienced & professional, we have a fully-equipped workshop here in Poole.